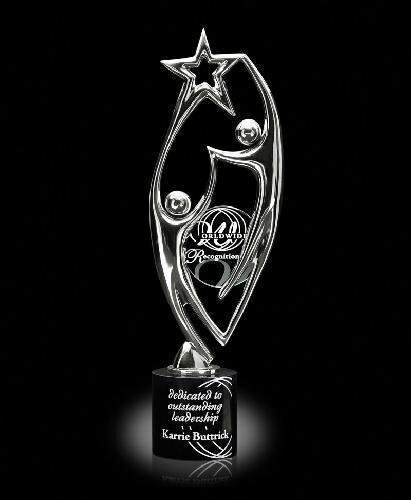 This radiant chrome plated star figure award is presented on a square ebony marble base. This stunning award will surely turn heads with its brilliant chrome finish, black marble base and simple jade glass. 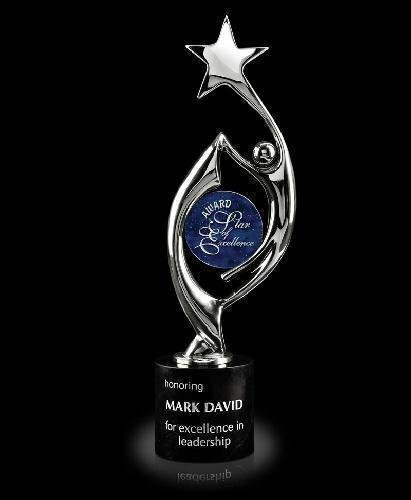 The star says it all on this platinum sculpture award with stunning colorful Art Glass on a black marble base.